Storks introduces us to a young boy named Nate, (Anton Starkman) who is longing to have a new sibling to keep himself company. His parents, Mr. & Mrs. Gardener (Ty Burrell & Jennifer Aniston) has a real estate business they run and are constantly working with no time to pay Nate any attention. Nate finds an old brochure from a former company that created babies according to the parents liking and had storks deliver the finished product at their doorstep. The storks no longer are in the baby-making business, they have now revamped their company into a package delivery service. Their number one stork delivery bird, Junior (Andy Sandberg), is on the fast track to being promoted at work but there is only one person standing in his way. Tulip (Katie Crown) is an orphan who has always lived with the storks and despite her best efforts to be useful to the company, she creates more harm than good for them. Junior is tasked with making sure Tulip no longer causes trouble for the company when she mistakenly answers Nate’s letter and creates a new sibling for him. The movie details Junior and Tulip’s journey to get Nate’s new sibling delivered to him without anyone finding out while also helping us understand the true meaning of friendship and family. Overall, I really enjoyed this film. I loved the theme of family and how you might have your ups and downs but no matter what your family will always have your back. I enjoyed them including the modern struggles of families today as well. They touched on how parents struggle to balance work and parenting and how to give their children the attention they need and deserve while growing up. This film is for both children and adults and will have you laughing the entire time. I strongly encourage you to PAY to see this film in theaters. 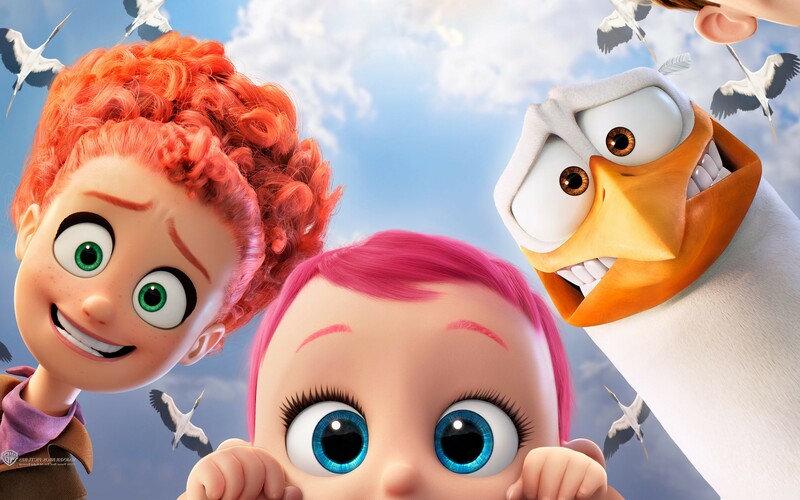 Storks will fly into theaters on September 23rd. Don’t get sold out and purchase your tickets now at Fandango! Have you seen Storks? Share your thoughts below!